Did you forget your Payroll Team? 2018 brings along a new set of rules and standards from the Danish Tax Authorities and potential changes in the way to collaborate with the Payroll Team. Starting from 2018, individuals’ year-end statements (“Årsopgørelse”) and the tax return (“Selvangivelse”) has been made obsolete. They are replaced by an online information scheme (“Oplysningsskema”) for the purpose of the information not automatically reported. This means, that for every employee, the taxes shall also primarily be settled via Payroll. 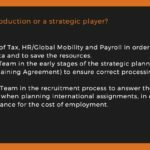 Thus, it is important to include the Payroll Team in order to be compliant with the Danish Tax Authorities (“SKAT”). SKAT will issue a year-end statement to every employee in Denmark. The statement will contain all information, which have been reported to SKAT throughout the year by various parties, such as Banks, Pension providers and especially Payroll, etc. Due to the changes evoked under the Legal Rights Act III (”Retssikkerhedspakke III”) the reporting parties (e.g. employers) are now liable for the content reported. This also means that employees are no longer accountable for the reported information as they do not have the ability to change the details. 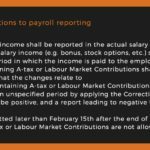 In case of incorrect information in the year-end-statement, the employee will have the option of providing SKAT with a notification that the employee considers the information to be incorrect. This may require a prompt response from Payroll to review and potentially correct the information to the Authorities. 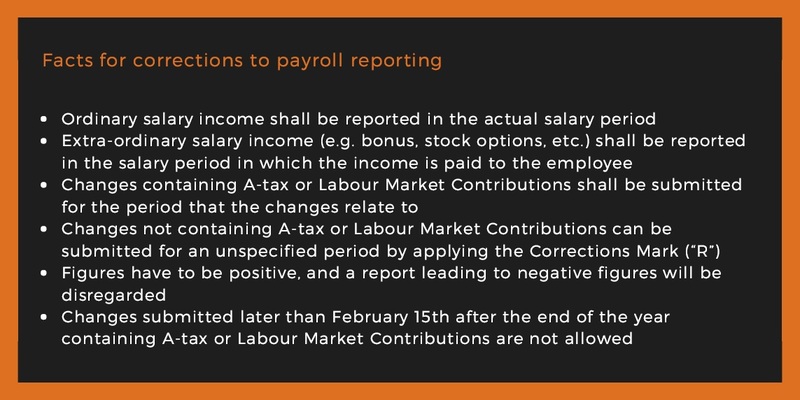 If Payroll shall make any corrections during the year or at the end of the year, Payroll shall meet the new procedures set forth by SKAT. Be aware that as of February 1st 2018, the specific mark for changes can no longer be applied for ordinary reports (for more, see box below). Payroll is firsthand receiving invaluable amount of information, but is not necessarily aware of the significance of the insights that they have in their hand. 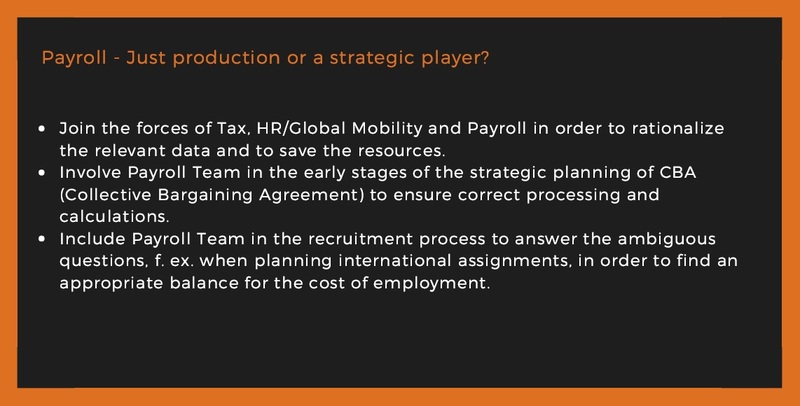 Educate your Payroll Teams so they can become the Strategic Player to ensure seamless processes. Streamline the internal processes for relaying information to the Payroll Team to secure compliant reporting. Consider how the employees shall notify Payroll in the unlikely event of incorrect reporting. In other words – make your Payroll Team the central compass in your company. You, as the employer, may even want to consider adding a preliminary circuit internally for Payroll escalations in order to avoid having employees informing SKAT directly about incorrect reporting by amending the reported information. In such case, your Payroll Team needs sufficient empowerment to argue or understand the situation and thereby the ability to perform conflict resolution. Previous Post Previous post: A few elements to consider about the extension of the expat regime! Next Post Next post: Social Security – what matters?